NEW CONSTRUCTION in NOBO! This distinctive roofline defines the curb appeal on this custom, modern home. 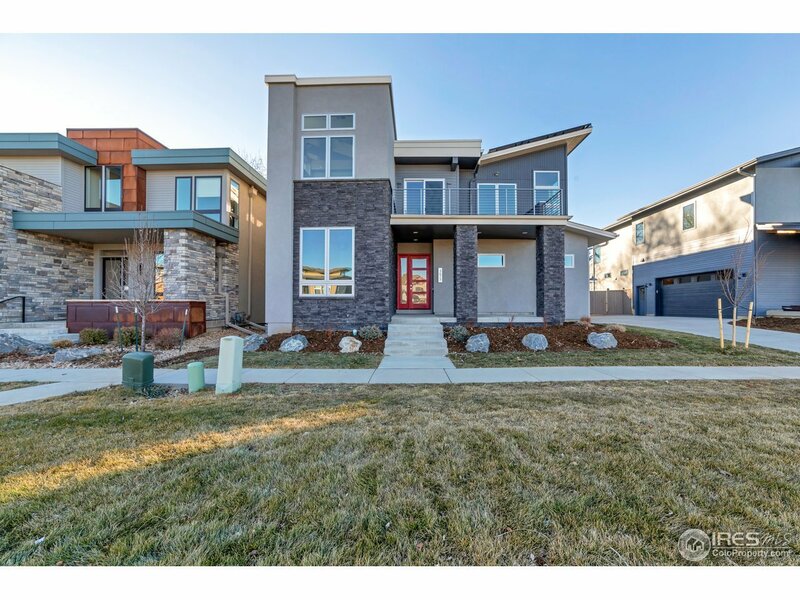 This home has it all, custom metal and cable railings, gorgeous lighting package, Jennair appliances, quartz countertops, thermofoil cabinets w/oversized island, upper level master suite w/ west facing balcony, Large front balcony, opt. 4th bedroom on 2nd level, main level 4th bed or study, mudroom, Plus more space in the unfin bsmt. Own one of the last remaining New homes in Kalmia Estates. © 2019 IRES Information source: Information and Real Estate Services, LLC. Provided for limited non-commercial use only under IRES Rules. @copy; Copyright IRES. All rights reserved. Information deemed to be reliable but not guaranteed. The data relating to real estate for sale on this website comes from IRES and the Broker Reciprocity Program.sm. Real estate listings held by brokerage firms other than Boulder Valley RE are marked with the BR logo and detailed information about them includes the name of the listing brokers. Listing broker has attempted to offer accurate data, but buyers are advised to confirm all items. listing information is provided exclusively for consumers' personal, non-commercial use and may not be used for any purpose other than to identify prospective properties consumers may be interested in purchasing. Information last updated on 2019-04-19 06:15:22.